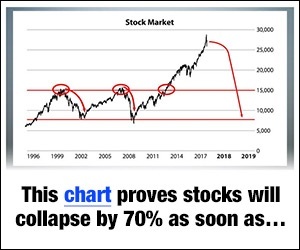 You’re insane if you think you are going to get rich by working for the man and saving a bit of cash and contributing to your 401(K) every year. It can’t be done. Yet people continue doing it year after year. They occasionally get a new job with a higher salary. 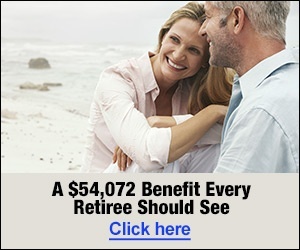 But does that higher salary mean they start saving more? Nope. They just adjust their lifestyle accordingly. Now I’m not saying you shouldn’t work hard and save… However, you’re never going to get rich if you stay on that hamster wheel. That is unless you do something that most people consider insane. What’s the definition of insanity? Doing the same thing over and over and over again, but expecting a different outcome. However, the reality is most people consider this to be a normal part of life. You get up, you work all day, you come home, you go to bed. What’s next? You get up, you work all day, you come home, you go to bed. And then what happens? You get up, you work all day, you come home, you go to bed. To me that’s insanity. Working Monday through Friday from the time you’re a 20-something till the time you are a 60-something. It’s very difficult if not impossible to get ahead on this path. Following this path has been ingrained in our heads from the time we were in grade school. Work hard in school, get good grades, and then go out and get a job. This is the norm and what is expected. The funny thing is the most likely path to success involves doing something the masses think is insane… Starting a business. In fact, this path is often filled with negativity from those around you. It doesn’t fit into the conventional path that’s been forced upon us. I think your best path to success is to start an online business. It’s easier and a lot less risky than traditional businesses. Plus this wave has and is creating more millionaires than any time in history. The problem is this wave is moving and if you don’t jump on you’ll never be able to catch it later. Even with the success online business owners have had, I’m not saying you won’t encounter haters or doubters on your journey. It could even come from your friends and family. They’ll knit their eyebrows together and ask what you know about creating websites. 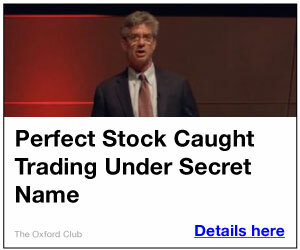 They’ll cross their arms over their chest and tell you it’s really hard; that there are a lot of scams out there. They’ll try to convince you to do what they do; put money in the bank and invest in the stock market instead. You’ll probably even hear a story from them about this one stock they heard about that’s supposed to explode in growth in just a short time. It’s sad but it’s true. Usually the people that want us to succeed the most (family) are the ones that scare us away from doing exactly that. What’s not insane is starting an online business. Here’s what I want you to tell your detractors the next time they try to talk you out of getting rich by owning your own online business. Long time readers will remember the stories about the eccentric old millionaire I used to work for. He taught me a lot about marketing and sales as well as how to get rich. One of the things he always told me he did when trying out a new business was to get in with as little risk as possible and test the waters quickly. If the business idea seemed to have traction he put a bunch of effort into making the business grow. If the business floundered he would pull out of it, cutting his losses as quickly as possible. I’ve continued to use that principle whenever I test out a new business I start. If I start a business I want it to be as low risk as possible. To me low risk means I don’t have to throw a bunch of money at it in the beginning. I’m not going to risk tens of thousands of dollars just to see “if” an idea has legs. That’s insane! I also want to test out the business idea before I throw myself into it. The beauty of the internet is that you can test ideas out cheaply. You can rent an email list or write an ad for very little money to find out if people would buy your product. The internet is also great for testing ideas because you don’t have to wait long to get your results. You’ll know within a day if your idea has legs or not. Testing your idea through the mail would be much more expensive and take weeks, if not months, to get results. TV, forget about it, you need to have thousands, if not hundreds of thousands, of dollars to be able to test your idea that way. The internet is the fastest and cheapest way to test an idea. But it all comes back to needing a business idea. You can’t find out if your business will work or not if you don’t have a business idea in the first place. This can be tricky. And it’s one of the things that stop people from ever getting started in the online marketing arena in the first place. But what if I told you I can solve that problem for you? Would you want to start an online business then? Well I’ve got something that I think meets all your criteria. It’s low risk. It can actually make your investment back with just one sale. 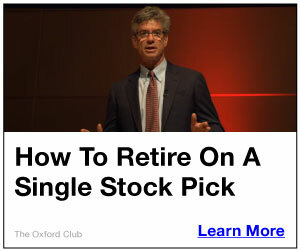 In fact it makes perfect sense for you because it also teaches you how to test your ideas through renting email lists. That’s good knowledge to have even if you decide this particular business isn’t the right one for you. I want this to be the last day you only dream of being rich, instead of actually achieving it! Don’t let those wishes for an easier life filled with more family time, financial freedom, and pockets full of cash be just a dream. Don’t spend another day sitting in your cubicle, making someone else’s dreams about wealth come true. You’ll never get rich working for someone else your whole life. That’s insane! Instead do something that’s got very little risk to it; that has the potential to make you very rich in a short amount of time…something that other’s call insane! You can check out all the exciting details on this opportunity here. To your dreams and mine!